Did you know that the World Wide Web has evolved through different version? 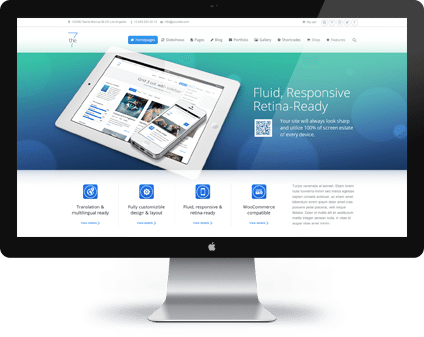 The web is continually evolving, so it’s not like when a new version of Windows comes out we suddenly see a big difference. In many cases, the milestones in the evolution of the web are often more easily understood by looking back with hindsight. I have been following the growing interest in Web 3.0 and it has enlightened me to the future of web technologies and some of the impacts it will have on businesses, in particular, the way they market themselves. As the video explain very well, we are currently experiencing Web 2.0 and we are reaching a point where Web 3.0 is starting to evolve. So what’s the difference and why does it matter I hear you cry. Essentially, Web 2.0 has been about communities, collaboration and sharing; everyone with access to a computer has been able to contribute to web content, unlike the days of Web 1.0 when only those with the technical knowledge could publish websites. Today, anyone can set up a blog in 5 minutes and start posting content to the web for others to share and comment on. 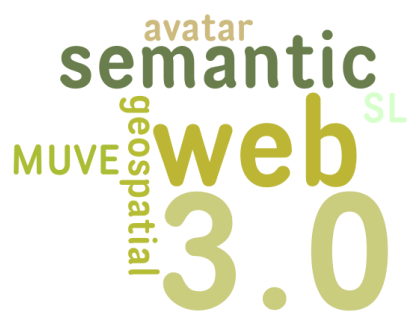 Web 3.0 (the Semantic Web) is the natural evolution of the web to deal with a key problem that Web 2.0 has created. Now that everyone can contribute to the website, there has been an explosion in online information. Consider the amount of video on YouTube, the number of Blogs on Blogspot, the number of personal profiles on Facebook… There is a mountain of information at our fingertips and currently we use search engines to find the information we want. The focus of Web 3.0 will be relevance. When you search for something using a search engine, like Google for example, it looks at keywords on the page, other sites that link to that page and a lot of other factors that they like to keep secret. But essentially, if you type in a phrase into Google and your friend down the road types in the same thing, you will get the same search results. Web 3.0 will revolutionise the way we find information because our interaction and experiences on the World Wide Web will be personalised. When you search for something, Web 3.0 will find content that is relevant to what you are interested in. It may use information from your social network profiles, e-mail, previous searches, etc. We won’t know exactly until the semantic web evolves further, but we must consider that this will fundamentally change the way we find information, or should we say, how relevant information finds us. There is clearly a business impact of Web 3.0. If you business is investing time and significant amounts of money into Search Engine Optimisation (SEO), will it be of any value when Web 3.0 becomes established. The current techniques of targeting keywords, building inbound links to your site and optimising pages will become far less important in Web 3.0. The point of semantics is that Web 3.0 will find content based on the ‘meaning’ and ‘relevance’ to the individual. While we don’t know exactly what the future of online marketing will look like, some have suggested that SEO as we know it is dead; some have suggested that outbound marketing will be less important because it will be less effective. We can speculate as much as we please, but knowing what to do now is perhaps the main concern for web site owners. It’s probably too soon to pull the plug on any SEO work you’re doing, but it’s definitely not too soon to be reading up and keeping abreast of Web 3.0. If the history of the evolution of the web tells us anything, it’s that the evolution is continual and gradual. Don’t let Web 3.0 sneak up on you and find out that your competitors have surpassed you will new ways of reaching their customers using more effectively marketing strategies; have a plan to review the value added to your business through e-marketing and be on the look out for the future developments that we know are coming.